Tuesday March 10th 2015 Miami makes a statement. After Tom Brady and the Patriots won anther Super Bowl and the off season chatter is about the Bills so far, along comes a man named Sssssuuuuuuuuhhhhhh !!!!!! I always believed that the Miami organization strive for perfection. In fact they are the only NFL team to do it. By the signing of ” A man named Suh ” (as Michael Tennant put it ) the Miami organization are saying ENOUGH is ENOUGH !!!! Not are they going to win AFC East but sweep the Patriots in doing so. And with those two loses the Patriots might not make the Playoffs. If this happens, Tom Brady’s acting career is going to start a little early. Yes I am saying it, ” A man named Suh ” is going to put Tom Brady into early retirement. Tom Brady the king of the NFL era will be over. Suh could not take care of Aaron Rodgers but he played for the ………….lions……….And Aaron Rodgers is younger, faster, and better than Tom Brady. ” A man named Suh ” will be warm in South Beach. 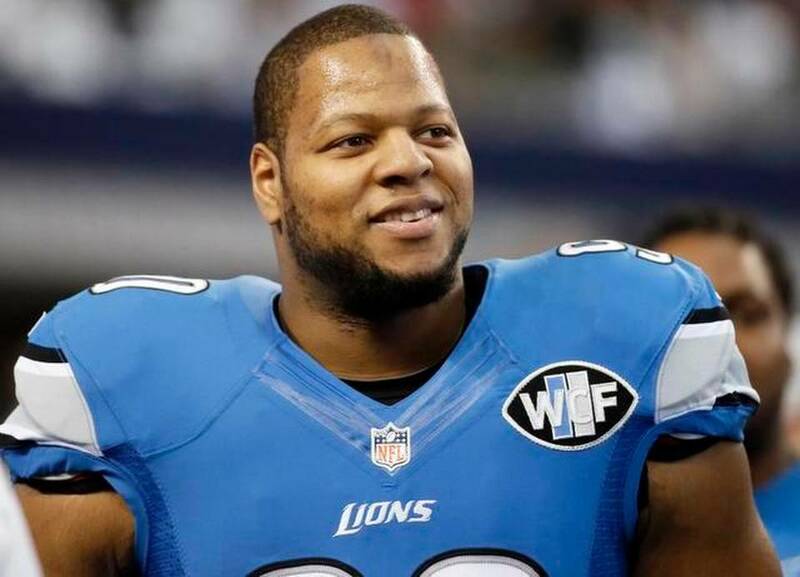 ” A man named Suh ” will be king in South Beach. As for the ………lions……….oh well………..Suh should of gotten Mathew Stafford’s contract. The only way the Detroit organization redeems its self is that Stafford carries the team not only to a winning season but to at least one Playoff win. Suh sighing to the Dolphins for the 2015 season still makes him the highest paid defensive player for the ……lions……….in this same year so far. The Detroit organization will pay him 10 million against the cap for 2015. Money they kicked down the road from Suh’s rookie contract.